The following is our policy effective December 31, 2012 on the funding by the New Jersey Environmental Infrastructure Financing Program (NJEIFP) of Manufactured Treatment Devices (MTD) that have not received New Jersey Corporation for Advanced Technology (NJCAT) / Department of Environmental Protection (DEP or Department) approval and verification. 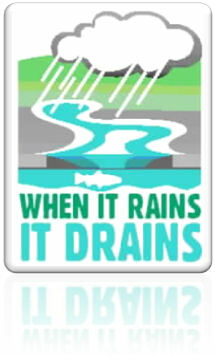 Where the use of an MTD is being sought to satisfy the requirements of the Stormwater Management Rules (N.J.A.C. 7:8) pursuant to N.J.A.C. 7:8-5.7(c), as a result of triggering the requirements for major development, the MTD must conform to the verification and certification requirements mandated by those rules. Quarterly grab samples from the inlet and outlet of the chamber collected during a rain event and for a period of 5 years. The frequency and length of monitoring may be reduced by the Department, based on review of data by the Department. All samples shall be analyzed by an independent laboratory that has New Jersey Environmental Laboratory Certification using the standards published at N.J.A.C. 7:18, “Regulations Governing the Certification of Laboratories and Environmental Measurements” and submitted to NJDEP by January 31, each year. Samples of the influent to the device and from the effluent of the device shall be taken and analyzed for TSS in accordance with Standard Method APHA 2540D-11. A certification from a PE must be provided that demonstrates the device has achieved the design criteria. Where the device does not improve water quality, the owner operator will be required to institute remedial action to improve water quality, in accordance with N.J.A.C. 7:22-4.30(c). Where the use of an MTD is sought to improve water quality, but is not being installed using NJEIFP funding nor to satisfy the requirements of the Stormwater Management Rules (N.J.A.C. 7:8), the requirements of this policy do not apply. This policy does not remove any obligation to comply with all applicable federal, State, and municipal laws, rules, and regulations. Applications for financing MTDs through the NJEIFP will be received through March 4, 2013. For more information: Please call 609-292-8961 for project eligibility questions and 609-219-8600 for application information. Comments regarding the content and format of this page should be directed to: Ketan Patel at (609) 292-3114, or Scott Shymon at (609) 292-8961.